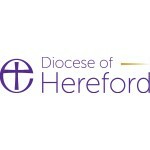 The Anglican parishes of the Craven Arms Group in partnership with the Craven Arms Methodist Church and supported by St Andrew’s Independent Church are united in seeking an Ordained Minister in Anglican orders who brings a passion, skills and if possible a track record in reaching a fresh generation for Christ. The call is for someone who through the use of an intentional approach to mission, evangelism and discipleship will lead and enable the formation and discipleship of a new and renewed community of faith. The priority is for a person to bring vision, energy and a confidence in the gospel. The ability to draw others into faith in Christ will be of primary importance and whoever comes needs to be able to consistently devote much of their time to building relationships as the vast majority of people living in our communities have no connection with traditional church. We believe that many of them have not actively rejected God, they simply haven’t heard or thought about faith. There is good work already on which to build. Jointly the Methodists and Anglicans run a Messy Church and Open the Book is well established in the schools. There is also a ‘Filling Station’ that seeks to encourage and renew active service. The vision is of a fresh and new community of faith that has the hallmarks of church. It is to be a community that takes discipleship seriously, and from whom it is expected leaders will emerge. A lively and infectious faith in Jesus Christ with a story to tell of their own faith journey. A good understanding or aptitude to quickly acquire such understanding- of the traditions, values, structures and practices of the churches and a willingness to work within its disciplines and structures. A commitment and evident ability to lead Christian mission, evangelism and discipleship. A passion for intergenerational mission -the ability to be able to work across and between the ages. A commitment to be an active part of the Missional Learning community structures already in place in the Diocese. Appreciation of the riches of the inherited tradition alongside an understanding of the urgency and demands of leading churches through change. Someone who has already exercised a pioneering role/ ministry and is excited to continue to broaden the scope of their experience and expertise. A vision of what it means to be part of a mixed economy church and the ability to relate to the local situation. Proven experience in being part of establishing, sustaining or growing one or more new worshipping community amongst non churched / all ages/ younger generations. Self motivation with the ability to work collaboratively. The ability to lead and facilitate through listening, discerning, inspiring, encouraging, motivating, and empowering individuals and groups -clergy and lay. South Shropshire is a wonderful place to live. We offer an exciting opportunity to the successful applicant to develop a ministry which is an integral part of our wider community whilst helping us to grow spiritually as individuals and as churches.